Maurice Starr’s big idea was to take the traditional template from the R&B genre (in this case his teenage band New Edition) and apply it to a pop genre. 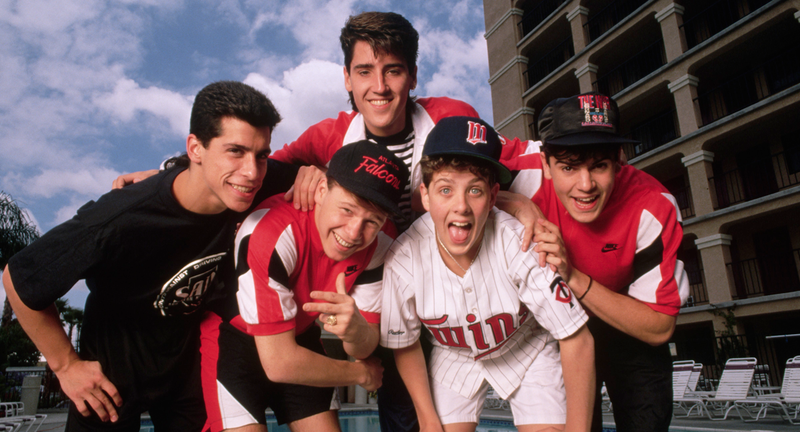 The result was New Kids on the Block, the first commercially successful modern boy band. By the end of 1989, they had climbed to number one on the Billboard 200 Albums Chart and had gone eight-times platinum. Boyz II Men's first single to reach Number One, 1992's "End of the Road", reached the top of charts across the globe. It would set a new record for longevity, staying at Number 1 on the Billboard Hot 100 for 13 weeks, breaking a decades-old record held by Elvis Presley. They would exceed that record later with hits "I'll Make Love to You" and "One Sweet Day". Take That's tunes and soulful ballads dominated the UK charts in the first half of the 1990s, winning many BRIT Awards while also spawning two of the best-selling albums of the decade. The Official Charts Company revealed the biggest selling singles artists in British music chart history with Take That placed at 15th overall, making them the most successful boy band in UK chart history. 1990s – Boy band boom! The 90s saw the formation of some huge boy bands, with the likes of East 17, Boyzone, N Sync, Five and Westlife achieving massive chart success and leaving screaming teenage girls in their wake. The title of ‘biggest’ boy band however, has to go the Backstreet Boys. Formed in Orlando, Florida in 1993, they are the most successful boy band in music history. The group have sold over 130 million records worldwide and in recognition of their success, received a star on the Hollywood Walk of Fame on April 22, 2013. The Backstreet Boys’ current tour celebrates their 20th anniversary.